Vitamin B17 is reported to have cancer-fighting properties, although the medical establishment has not endorsed this claim. Since the 1970’s when the FDA removed it from the B-complex vitamins, the sale of B17 pills, commonly known as Laetrile, has been illegal in the United States. However, B17 is a nutrient found in many well-known and frequently eaten foods at safe levels. To include B17 in the diet, become familiar with what foods to eat. 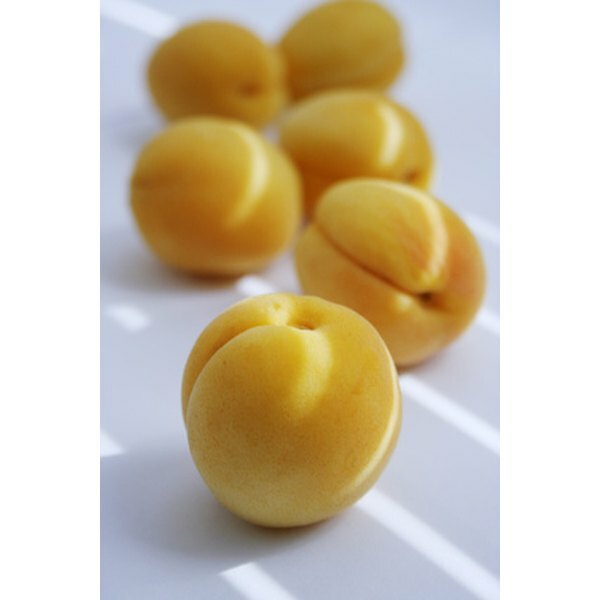 Vitamin B17 (nitriloside, amygdalin) exists in high amounts in apricot seeds and in moderate amounts in apple, cherry, nectarine, peach, pear, plum, and prune seeds. Most domestic berries, such as blackberry, boysenberry, cranberry, currant, strawberry and raspberry, contain B17, but the highest amounts of it are in wild berries. Most seeds are in the hard inner kernel of fruits, but some seeds are in the fruit core, as in the apple. In addition to fruit seeds, buckwheat, flax, millet and squash seeds deliver medium amounts of B17. According to the American Cancer Society, promoters of B17 say it prevents and treats blood pressure and arthritis pain, yet its most familiar use is as an anticancer treatment, which is illegal. Common beans that many people enjoy eating contain various amounts of B17. Black, fava, garbanzo, kidney, lentil and lima are some popular beans that have high levels B17. Using these beans in cooking and in salads is an easy way to add B17 to the diet. Nuts are good sources for many nutrients, and vitamin B17 is a component of almonds, cashew and macadamia nuts. Although the bitter almond contains a high level of B17, it is toxic and the FDA does not allow it for eating in the United States. However, bitter almonds are processed successfully and used for almond extract and to flavor liqueurs. Many leaves and sprouts contain B17. Alfalfa, beet tops, eucalyptus, spinach, and watercress leaves, and sprouts from alfalfa, bamboo, fava, garbanzo, and mung have varying levels of B17. Watercress is especially high in B17. Cassava, sweet potato and yam contain B17. Cassava has a high amount of B17. Although cassava leaves are high in protein, they cannot be eaten raw because of their cyanogenic glucosides, which convert to cyanide due to a natural enzyme in cassava. Properly-cooked cassava is safe to eat. Melanie Graysmith has been writing since 2009, specializing in adult education and general interest topics. She is also an educator and visual artist, holding a Bachelor of Arts in Japanese, a Bachelor of Fine Arts in illustration and a Master of Arts in education. Is Alfalfa Good for Breastfeeding?